Carry your bicycles securely and avoid the hassles of piled bikes or high threshold rooftop mounts, with the 4-Bike Hitch Mount Rack. 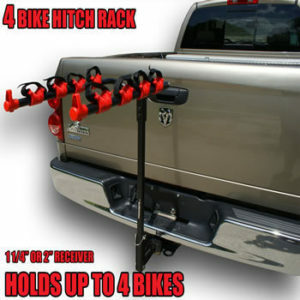 Fitting vehicles with a 1-1/4″ or 2″ trailer hitch receiver, the bike rack is both easy to operate and super secure for your bikes. 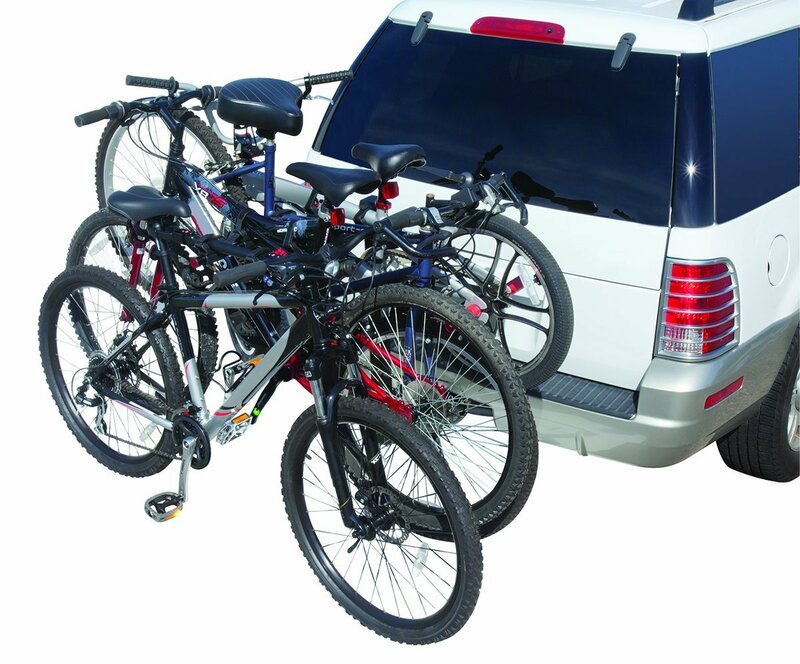 This bike rack is made with all-steel components that have been powder coated for ANY weather condition. 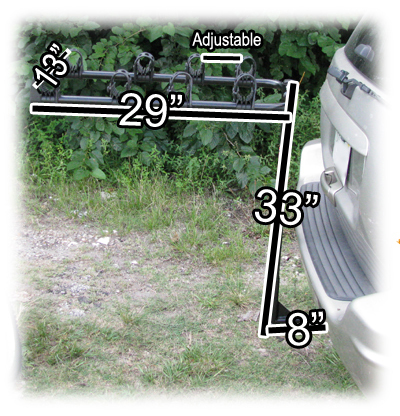 The spacing on the carrying arm accommodates a wide range of frame sizes and designs. 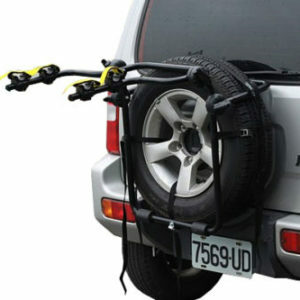 Tie-down cradle system individually secures and protects each bike. 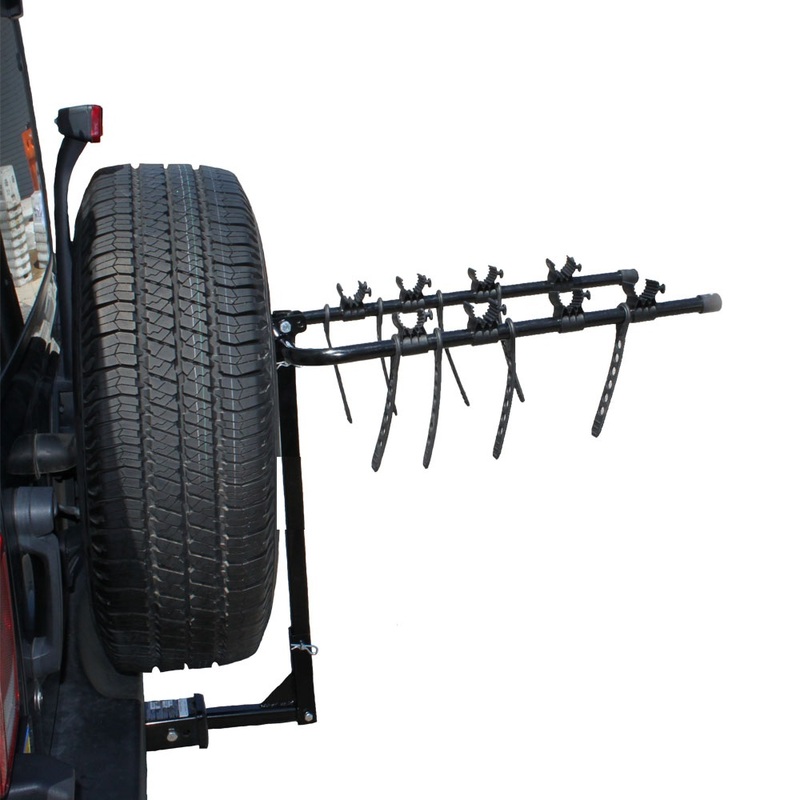 The carrying arm folds out of the way when not in use. 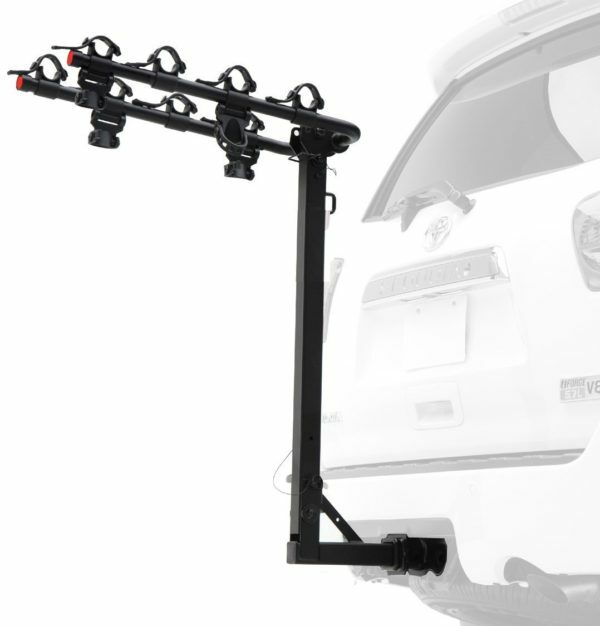 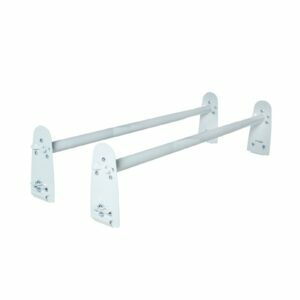 Rack tilts back for easy lift gate access. 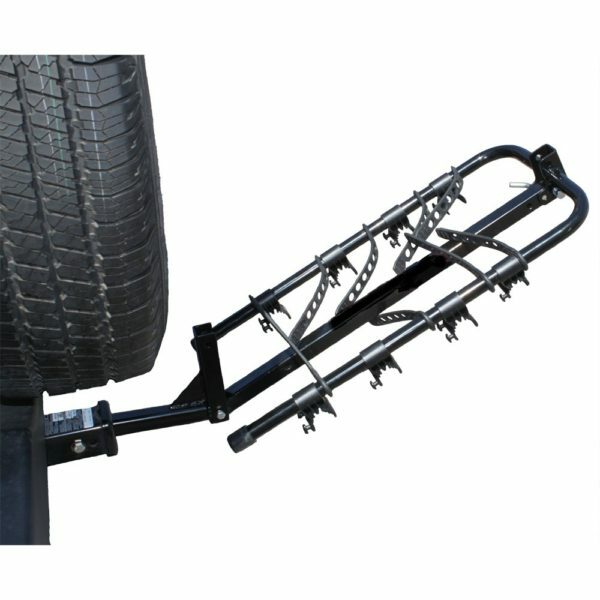 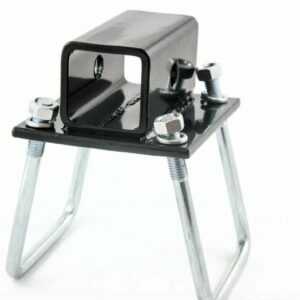 The hitch bolt eliminates movement of rack inside the tow hitch. 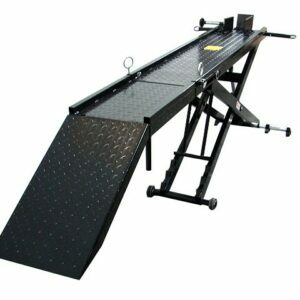 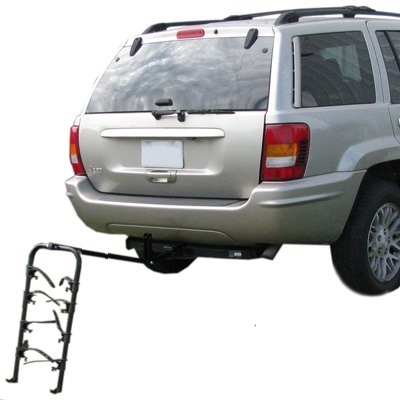 The bike carrier comes complete with a LIFETIME WARRANTY against defects. 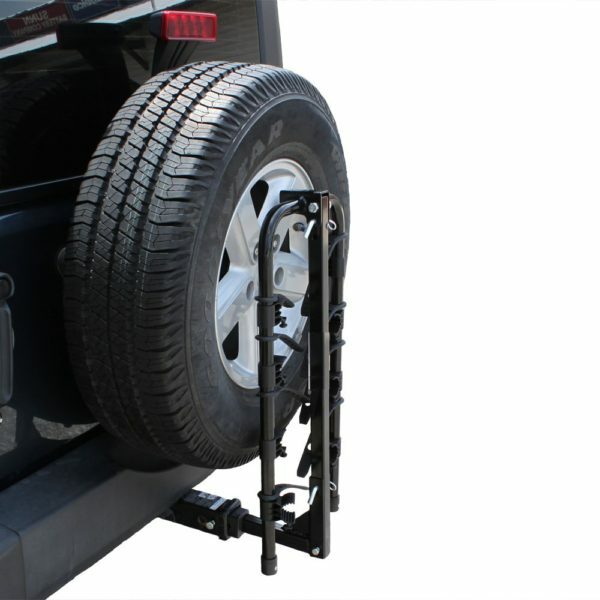 Holds up to 6″ bicycle circumference tube. Fits with 2″ tow package with attached dampener OR 1.25″ tow package without. 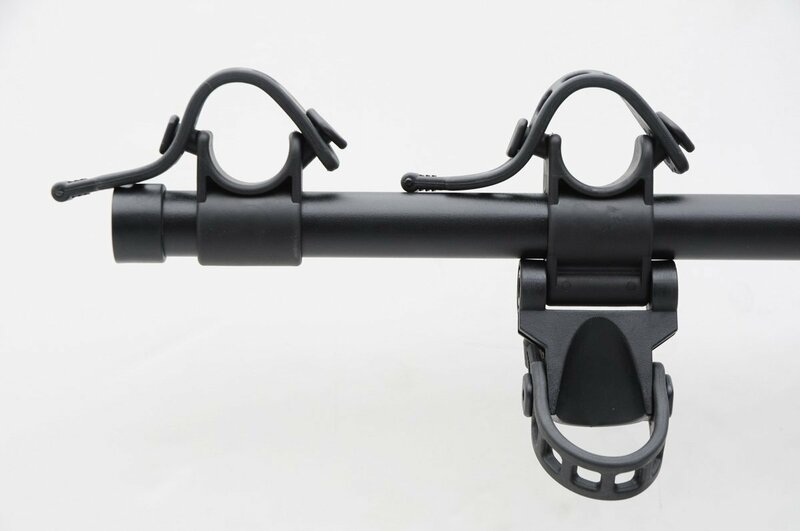 Rubber bike straps keep your bike from being scratched during transit. 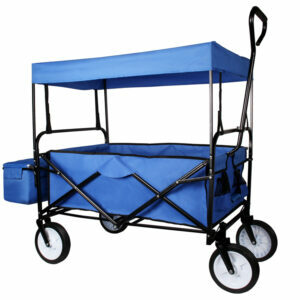 (Not the nylon straps like everyone else uses).